There are many benefits of aluminum products when applied effectively in various industries. Compared to other industries who are now embracing the use of aluminum extrusion design to improve their products and equipment, increasing durability, longevity, sustainability, and cost-effectiveness, the transportation industry is by far the big winner. Custom aluminum extrusion is used to provide solutions for industry, ranging from basic designs to fully fabricated components, depending on the client’s needs. At Silver City Aluminum, we provide our customers with solutions that embrace all of the inherent qualities of aluminum extrusion at our one stop shop fabrication facility. We work with each client to address their specific requirements, creating custom profiles that work to reduce lead time and cost while providing a superior result that will help them achieve their goals. The transportation industry is continually charged with finding new ways to improve fuel economy and safety for consumers and the public-at-large. Custom aluminum extrusion has been instrumental in both of these areas. School buses, city buses, private transportation buses; when it comes to the design and manufacture of buses, safety should always be the number one concern. Passenger vehicles are benefited by the use of aluminum, which can help to assist damage in crashes, providing better results than steel or other commonly used materials. In addition to safety, the benefits of aluminum products also include cost savings for the client. Whether a city, county, school district, or professional bus service, the use of aluminum can help to reduce overhead costs and even benefit fuel economy throughout the life of the vehicle. 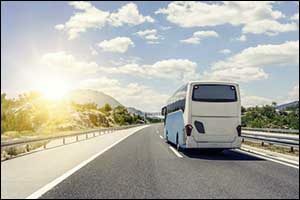 Aluminum is one-third the weight of steel, which can provide a clear advantage to using aluminum extrusion design for bus components and parts. Another area where aluminum extrusion design can be beneficial is in the design and manufacture of passenger trains. Similar to buses, manufacturers are always looking for new ways to create lightweight designs that will improve speed and fuel economy, along with improved safety profiles and interior structures. Our one stop shop fabrication facility can assist you every step of the way, providing insight and advice from our experienced engineers and technicians that will help you maximize your investment and achieve your goals. Because we do everything in-house, the quality control that we are able to provide will far exceed anything you have experienced with other vendors. We use state-of-the-art equipment and quality aluminum alloy materials to achieve the best possible results. Aluminum provides a uniformly smooth surface, requiring less finishing work and faster lead times compared to other metals. Tighter tolerances, lower costs, and reduced mass all work to provide a very sustainable, cost-effective method for manufacturing passenger train cars. Custom aluminum extrusion and other processes of aluminum parts production help to deliver environmentally-friendly solutions for passenger transportation across the board. In addition to passenger transportation, Americans rely heavily on the trucking industry to deliver the goods, parts, and products that we use in our everyday lives. From tractors to trailers, the benefits of aluminum products can be seen throughout the trucking industry. Aluminum extrusion design at our one stop shop fabrication facility can help our clients to achieve their goals for fuel economy, safety, cost, and durability. Lighter trailers that replace steel components with aluminum allow for heavier loads and use less fuel. Aluminum is excellent for use with standard trailers, refrigerated trailers, and flatbed trailers of all shapes and sizes. Custom aluminum extrusion is also used in the manufacture of truck components to create lighter tractors, lowering costs, and creating a more environmentally-friendly piece of equipment. Interested in learning more about how custom aluminum extrusion can help make improvements to your transportation industry business? Give us a call at 508-824-8631. We provide services to clients right here in New England, as well as all across the country and around the globe. Take advantage of the benefits of aluminum products and save even more by working with our one stop shop fabrication facility right here in Massachusetts. Call today to get a FREE estimate or speak with one of our engineers to begin placing your order for top quality aluminum extrusion design parts and products.